Research has consistently demonstrated the role of the therapeutic alliance in effective psychotherapy. Yet, mental health practitioners often struggle to be fully present with their clients due to various stressors and distractions that occur in and out of session, which makes it difficult to build and maintain a stable alliance. 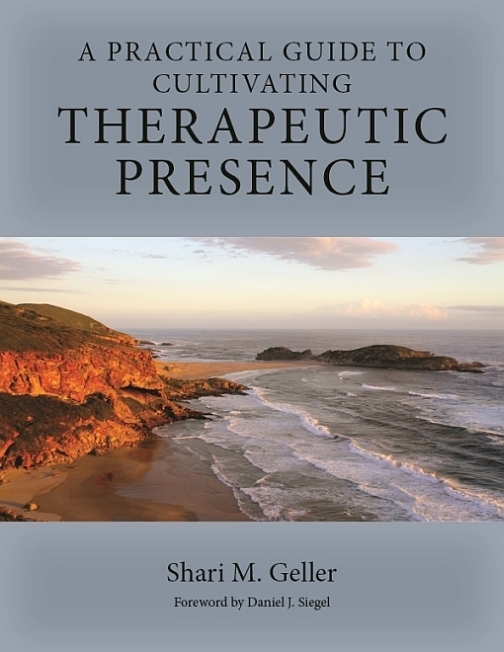 Renowned therapist Shari Geller thus presents a transtheoretical model for cultivating therapeutic presence that will help clinicians engage more deeply with their clients on multiple levels—physical, emotional, cognitive, spiritual, and relational—which will ultimately result in positive change. In this accessible guide, Geller first reviews the empirical foundations of therapeutic presence, including its neurophysiogical underpinnings. She then translates this knowledge into clinical skills and practices that therapists can use to set a pre-session foundation for presence, cultivate that presence in session, and overcome barriers to presence. To be optimally effective, however, therapists must practice self-care and hone their presence skills outside of therapy. Thus, Geller details exercises that allow therapists to cultivate presence in all aspects of their lives. She then describes therapeutic relational presence, the deepest level of connection therapists and clients can achieve through ongoing presence-building practices. The book concludes with broader applications of presence beyond therapy. Dr. Shari Geller, PhD, is an author, clinical psychologist, and supervisor with a commitment to mindfulness practices and a passion for rhythm and drumming. Dr. Geller has been practicing mindfulness since 1990 and weaves Buddhist philosophy and rhythm-based work into her life and clinical practice. She has been involved in researching, writing, and training in therapeutic presence as a foundational approach to optimizing health care and therapeutic relationships. Dr. Geller coauthored (with Leslie Greenberg) the book Therapeutic Presence: A Mindful Approach to Effective Therapy. She has released a companion CD on cultivating presence, with guided practices using the healing power of music and the health benefits of mindfulness. In collaboration with APA she has also released a training video for therapeutic presence. Dr. Geller has a clinical and supervisory practice in Toronto and Grey-Bruce County. Her training with teachers and neuroscientists, along with her personal practice, inspired her to integrate the benefits of mindfulness, group drumming, and emotion-focused awareness into one comprehensive program Therapeutic Rhythm and Mindfulness (TRM™) to cultivate presence. Dr. Geller serves on the teaching faculty in health psychology at York University and for the Applied Mindfulness Meditation program at University of Toronto, and she is adjunct professor in the Faculty of Music at the University of Toronto, in association with Music and Health Research Collaboratory. She is the codirector of the Centre for MindBody Health, offering mindfulness and compassion-based treatment and professional training.